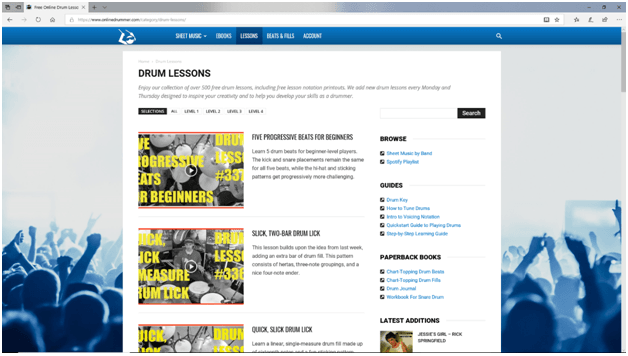 If you’re looking for a fast, easy way to learn the drums, online lessons may be the answer.We’ve thoroughly researched and tested top lesson sites. It wasn’t easy – there are many excellent drum instructors online. 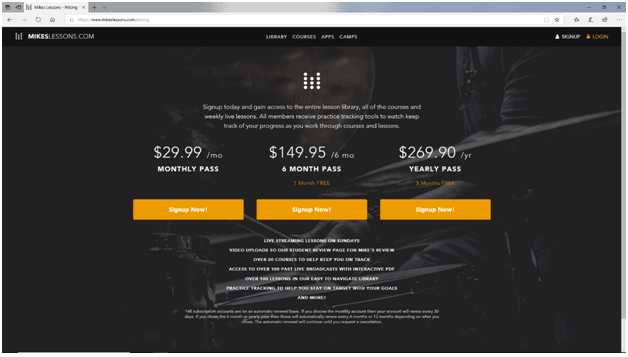 This review covers ten of the best sources for online drum lessons, all with professional instructors, excellent resources, and competitive pricing. Whether you’re a complete beginner or if you’ve had some experience in the past, you probably know that it can be difficult to find good, affordable drum lessons in many places. The good news is that all of the sites we’ve reviewed here offer quality while being far more affordable than in-person lessons. Here are a few more things to consider as you begin to compare features. Instructors –Sites with qualified, well-known instructors are best. Some offer multiple instructors and different perspectives while others feature one instructor for a consistent, one-on-one experience. Pick something that works for you! 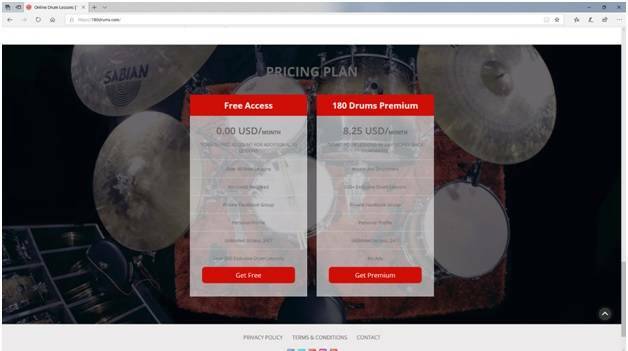 Many of these sites offer free trials, so you can easily find the best online drum lessons for your unique needs. 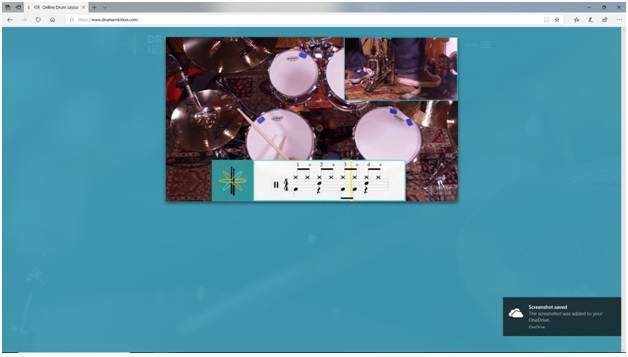 Type of Content–Several sites offer live drumming lessons, while others are brimming with pre-recorded content. Most sites, including those we didn’t have room to review, offer a combination of both, meaning you have plenty of flexibility for scheduling. We recommend visiting different sites, looking to see what’s available, and deciding if the content appeals to you. After all, you need to enjoy your lessons, and you need access to plenty of good material. If you’re not interested and challenged, you probably won’t feel like continuing. Downloadable Lessons/Materials–Can you download materials to use anytime, or do you have to be online for the duration? Lessons Quality – Be wary of sites with content that looks like it was filmed back in the 1980s. 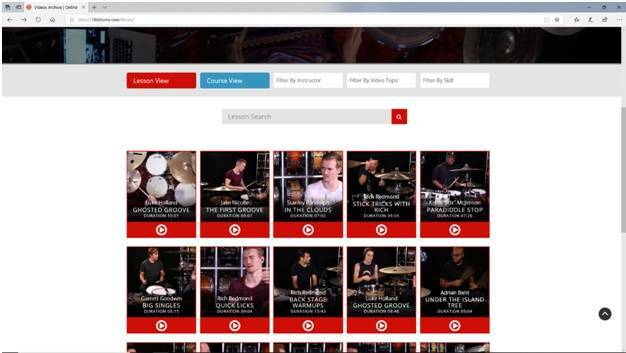 The best online drum lessons sources offer high-quality videos with crisp, clear views. With these factors and a few others in mind, here are our top ten picks for best online drum lessons. Let’s get started! 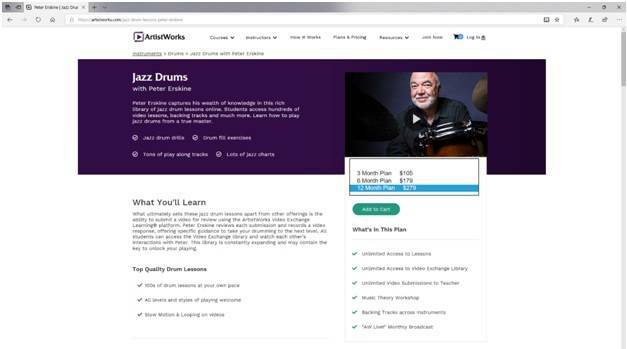 Artist Works has emerged as a premium source for online music lessons, and we’re thrilled to discover that the site’s offerings now include jazz drums from Grammy® Award-winning instructor Peter Erskine. Students have automatic access to ArtistWorks Video Exchange Learning® platform, which provides direct guidance as well as a full library of interactions with other students. Not only can you learn from your own drum lessons with Peter Erskine, you can also see what others are learning. All lessons are professionally filmed, with different angles that allow you to see exactly what the instructor is doing. 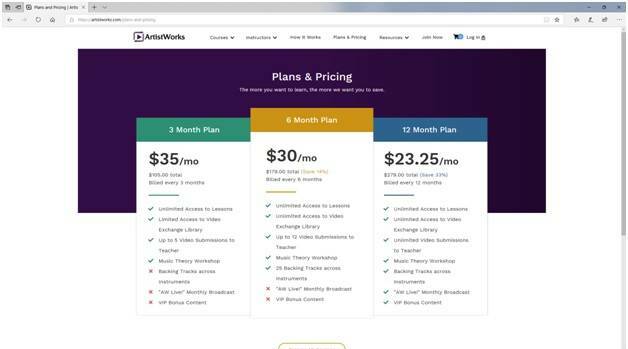 ArtistWorksoffers different plans and pricing. The 12-month subscription offers the best value, coming in at under $30/month and offering unlimited access to essential resources. 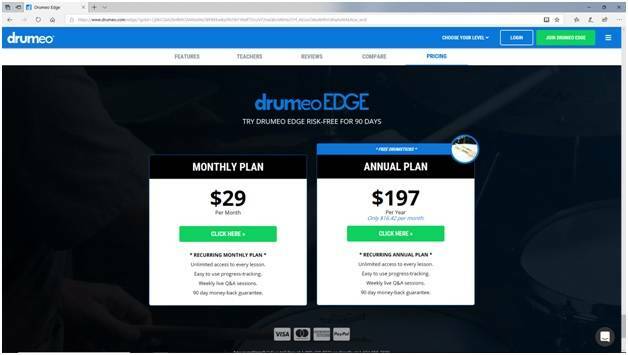 Drumeo Edge offers live lessons, play-alongs, and a full library containing hundreds of lessons. The site is home to over 20 instructors, and support is available via email, chat, phone, or the forum. Lessons and other materials are professionally filmed, with different camera angles and sheet music at the bottom edge of the screen. A tool called SmartBeathelps students keep track of the instructor’s playing, and live lessons are accompanied by chat rooms with Q&A sessions. This big, well-organized site offers designated areas for beginners, intermediate players, and advanced drummers. 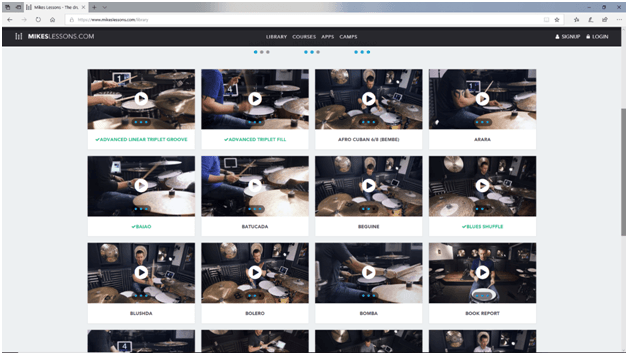 With video lessons from famous instructors plus an active community of fellow drummers, 180 drumslets new members get started free.Both free and paid levels include access to over 500 drum lessons, along withsocial media interaction for those who prefer it. 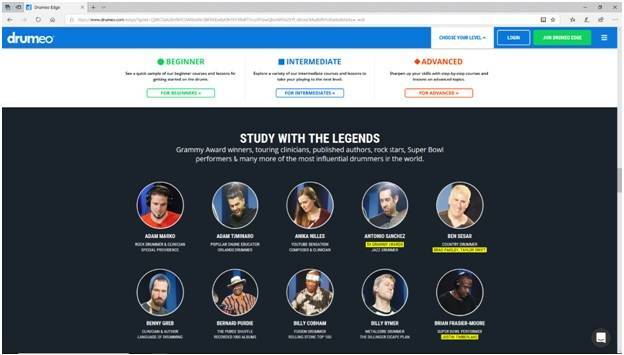 The free area is supported by ad revenue, and there are no live lessons available on either end of this site, which could explain why it’s available at a lower cost than some competitors. Still, it’s a valuable resource for those who want to get started while keeping monetary outlay to a minimum. 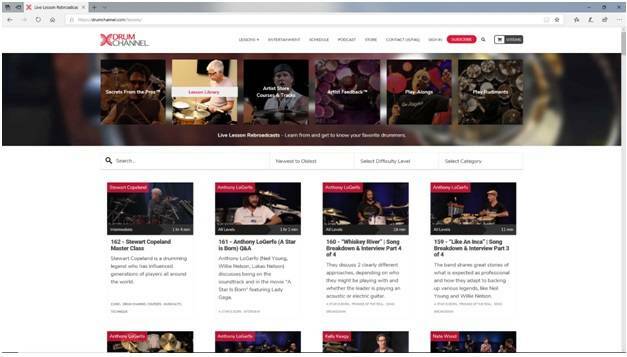 Drum Channel features live content and video archives, with a variety of lessons delivered by over 100 pro drummers. While it’s not ideal for beginners who need a highly structured approach, it is an excellent source of inspiration and information for intermediate to advanced drummers who want to take their skills to the next level. 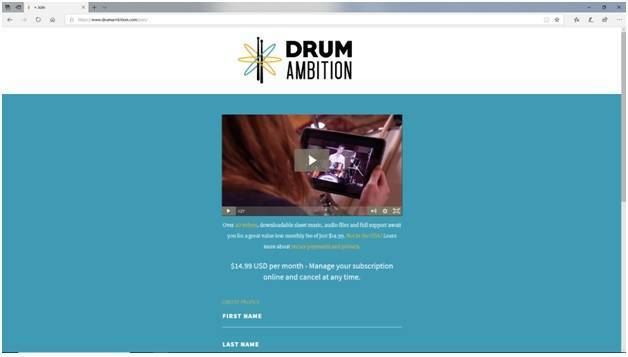 Drum Ambition was created with the needs of total beginners in mind. Created by pro drummer and educator Simon DasGupta, the site is well-organized and affordable. 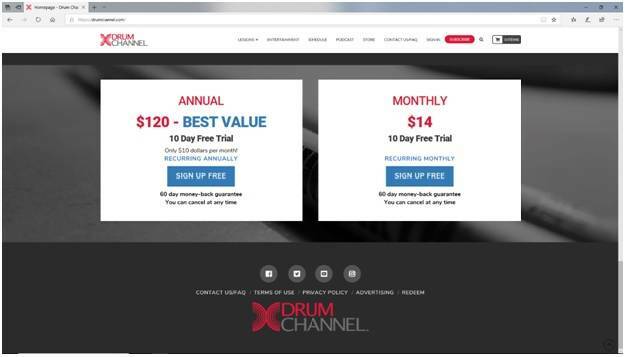 Like other top sites for online drum lessons, Drum Ambition offers availability on your favorite device, and lessons are filmed in crisp, clear HD format with music and multiple views. Mike’s Lessons takes a unique approach by focusing on specific skillsets. Students simply choose which course they’d like to take, and learn a new drumming skill from beginning to end. The courses are rounded out by weekly live streaming sessions, and students may upload videos for instructor review. Past broadcasts have been curated for anytime access. Ian’s Drum Workshophelps beginning drummers get started with a 3-day kick-start course designed to teach the basics in short order. While these online lessons aren’t going to provide you with a deep well of knowledge, they’re a great place to start particularly if you’re in a hurry. Stephen’s Drum Shedfeatures a structured lesson program called Drum Better Daily,which promises to help beginners get started in just 25 minutes per day. A step-by-step approach breaks each aspect of every lesson into small, digestible chunks, so techniques are well-cemented into the student’s memory once learned. While there is a strong focus on beginners here, more advanced players are equally welcome. While this is a smaller site, it’s very well organized and there is plenty of content to keep you engaged. 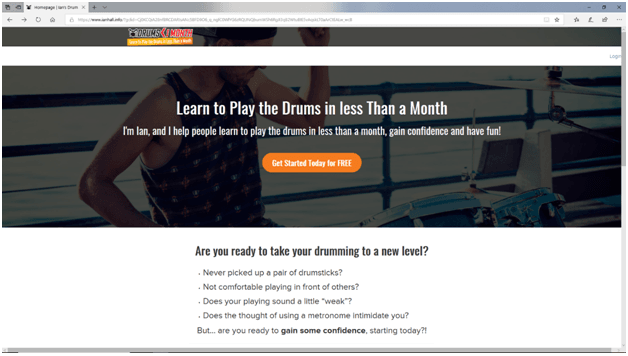 You can learn almost anything at Udemy, including how to play the drums. This world-class instruction site offers more than 60 a la carte courses. There’s a ton of material here, ideal for rounding out your playing and building even more skill as you grow! Whether you want to learn how to play the bodhran or if you’re interested in getting started with the djembe, you’ll find good, solid instruction here. All courses have ratings and reviews from students who have participated in the past, and all are backed by Udemy’s 30-day money-back guarantee. If you’re looking for material to round out your playing experience, consider a visit to Online Drummer. 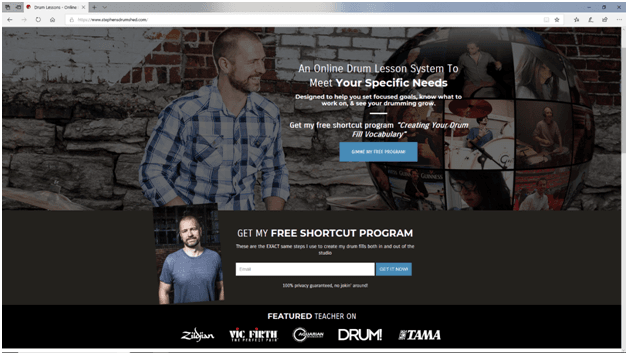 While this might not be the most organized or best source for online drum lessons, it’s a resource that many drummers find useful. The site’s layout is basic and easy to follow. 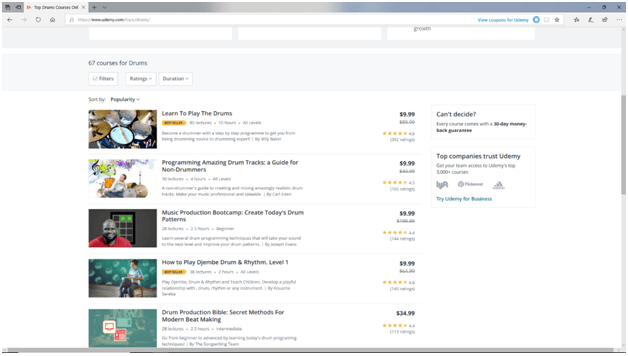 Besides plenty of free content, Online Drummer offers a robust library of paid content including sheet music (searchable by band name) as well as ebooks and paperback books. While all the sites for online drum lessons offer quality instruction, there are some other things to keep in mind as you choose. Style–The lessons focus on a playing style that you enjoy. We recommend choosing your online drum lessons based mainly on the type of content that’s available. Even if something is extremely cheap (or even free!) you’re not going to feel like practicing if you aren’t 100 percent interested. Experience / Playing Level – If you’re a beginner, great news! 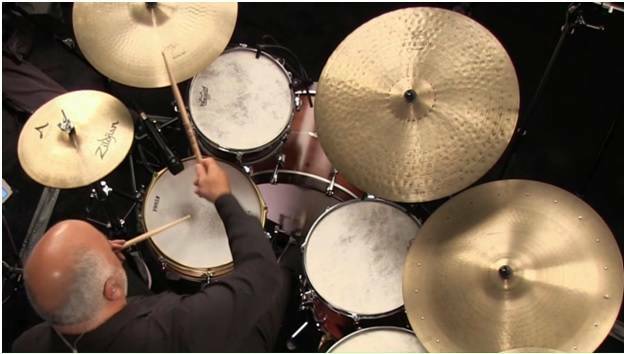 You can find plenty of good, solid online drum lessons to get you started with all the basics. Once you’ve reached an intermediate or advanced level, you’re likely to find yourself feeling somewhat annoyed by sites that promise the moon and stars, only to leave you with a pack of outdated CDs or DVDs. We really recommend that you take a close look at what’s involved before investing time and money in lessons. Trial Period – Most sites offer a free trial period that allows you to investigate before plunking down your hard-earned cash. While some sites without trial periods are great and have plenty of solid reviews that serve as reassurance, you’re almost always better off with a “try before you buy” approach. Community& In-Person Interaction – Maybe you want to learn on your own. But if you’re like most people, you value the experience and insight of others. A few of the top sources for online drum lessons offer plenty of interaction via social media, while some also offer on-platform forums and more. Some of the best sites take interaction a step further, allowing students to interact directly with instructors and submit videos for review. This type of one-on-one interaction allows instructors to provide specific feedback and guidance that isn’t available in lessons-only formats. 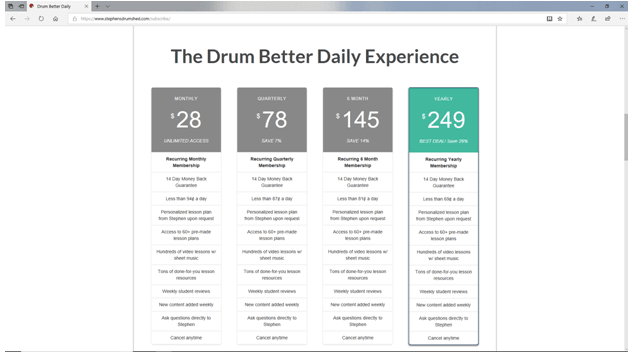 Price –Even the most expensive online drum lessons are likely to cost a lot less than in-person lessons, which average $60/hour in the United States. Having access to a solid library full of content you can access any time adds plenty of value to the experience. Of course, we aren’t knocking in-person instruction at all. If you have access to a local teacher and you can afford the fees, then go for it! Most areas have no drumming instruction available, and most drum instructors have packed schedules. Our best-case scenario is this: Take regular online drum lessons, practice like your life depends on it, and supplement with once-monthly lesson from a live instructor if you can. It’s worth noting that you’re not locked into your chosen course forever. Many of the best online drum lessons sites continue to grow and expand, so you can keep on building your skills and eventually, take your performance onstage. We wish you the very best of luck with your musical journey!